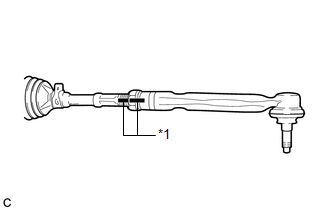 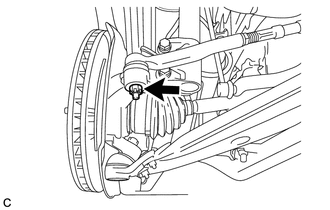 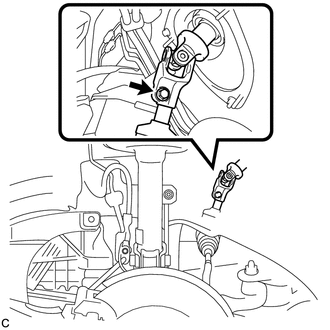 (a) Temporarily install the steering link assembly to the vehicle. 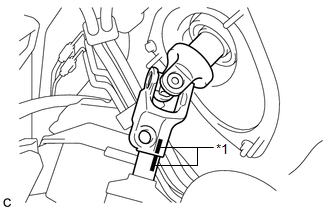 Use wire or an equivalent tool to keep the steering link assembly. 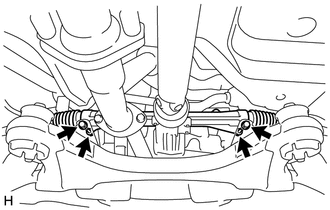 (a) Install the steering link assembly with the 2 bolts and 2 nuts to the front frame assembly.